Online Dance Classes. Learn to Dance at Home with Forrest Vance! Forrest Vance offers you the chance to learn to take online dance classes and learn to dance like a professional in just 30 days. You can learn to dance in your own home through his instructional DVD sets, or through live stream dance lessons! Forrest Vance Full Dance Set Beginning to advanced instruction on all your favorite dances. This set includes full features from all three of Forrest Vance’s Learn to Dance Series. Learning from the professionals and taking dance lessons online has never been easier and allows you the same great instruction, but in the privacy of your own home. 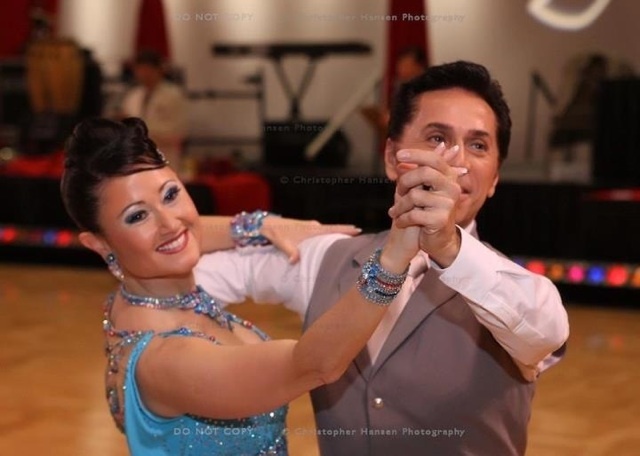 Not only does Forrest Vance offer the chance for you to learn how to dance from the comfort of your own home, and at your own pace, but he also provides private dance lessons in Scottsdale. Learn to dance with Forrest Vance, 5 Time Undefeated U.S. American Rhythm Champion and 2012 Professional Hall of Fame Award, live and in person at the Imperial Ballroom in Scottsdale.